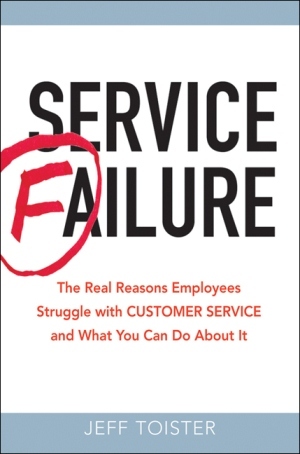 The Book: Service Failure — Toister Performance Solutions, Inc.
Why do employees struggle with customer service? ervice Failure explains the real reasons why. It draws upon examples from well-known companies, stories from frontline employees, and the latest scientific research. Visit the Service Failure Book website to learn more. We know what the employee should have done, but that's not what happened. Service Failure reveals many surprising causes of poor customer service and provides proven solutions drawn from real examples and cutting-edge research. The book explains many of the same concepts that Toister Performance Solutions uses to help clients take their customer service to the next level.